The series begins with a monkey-tailed boy named Goku befriending a teenage girl, Bulma, whom he accompanies to find the seven Dragon Balls, which summon the dragon Shenlong to grant the user one wish. Yet, the devil (Piccolo) wants them too. The 2nd best-selling manga in the world with over 42 volumes and 230 million copies sold worldwide! 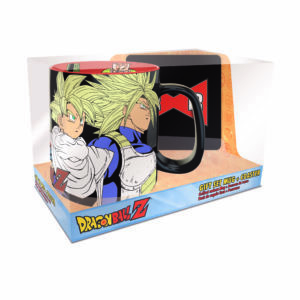 With its vivid colors and wide array of characters and symbols, this set is the perfect gift for any Dragon Ball Z fan! Pair this uniquely designed mug with the included cork-backed coaster to keep tables and other surfaces cool and dry. 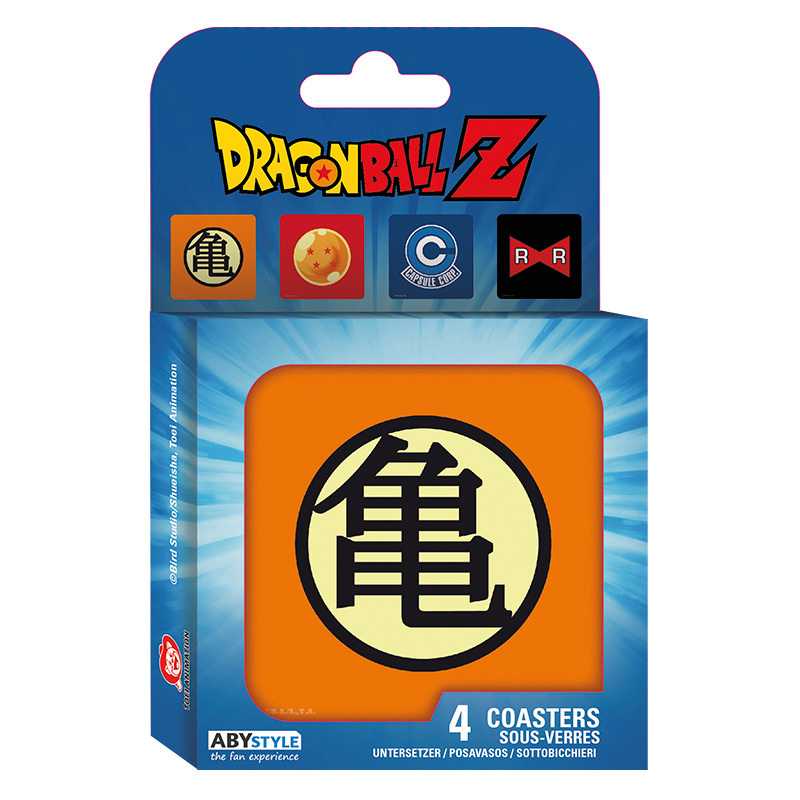 Whether you side with the Z Fighters or pledge your allegiance to the Red Ribbon Army, ABYstyle has got you covered–our set of officially-licensed coasters feature 4 iconic emblems from the Dragon Ball universe! Made with cork backings, these coasters are large enough to accommodate most drink-ware, keeping your hard surfaces dry and stain-free. 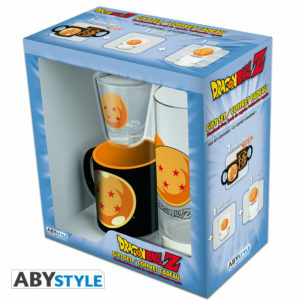 This officially-licensed Dragon Ball Drinkware Gift Set is the perfect addition to any fan’s collection. This set is neatly packaged in an attractive and easy-to-wrap box. Ideal for birthdays, holidays, and other special occasions. In traditional ABYstyle manner, our products are made for fans, by fans! Discover the new premium keyring in full 3D ! 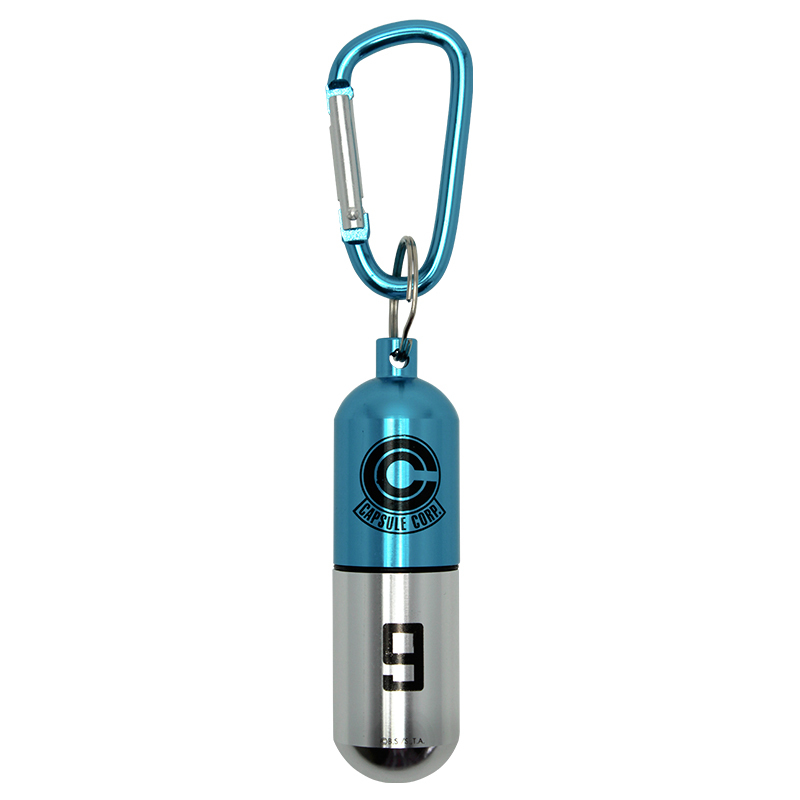 With this wonderful Dragon Ball Z™ Capsule keychain, you will finally have your own capsule Capsule Corp ! The top unscrews itself to reveal a hollow space for small objects on the go. 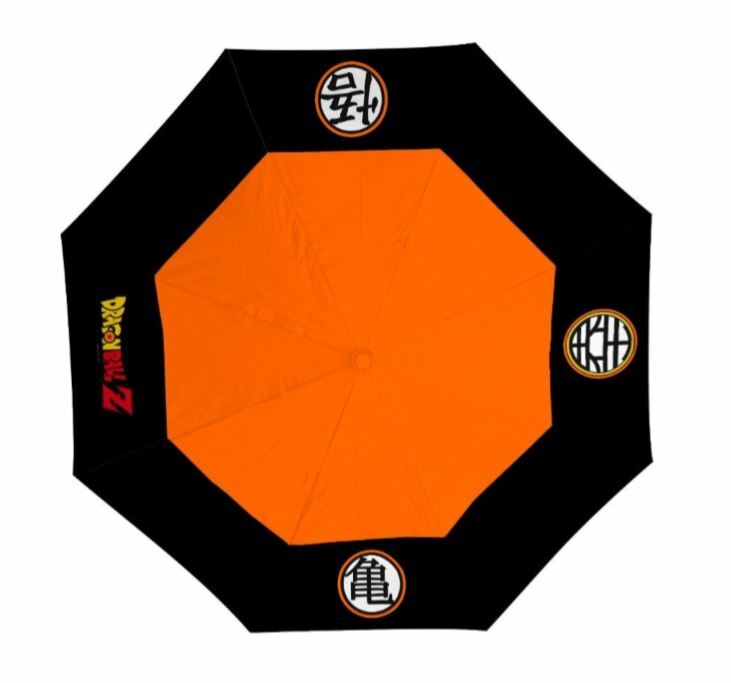 With it’s auto-open feature, this umbrella will spring open with the push of a button. A convenient wrist strap allows for easy carrying and its compact size is ideal for taking it on-the-go.